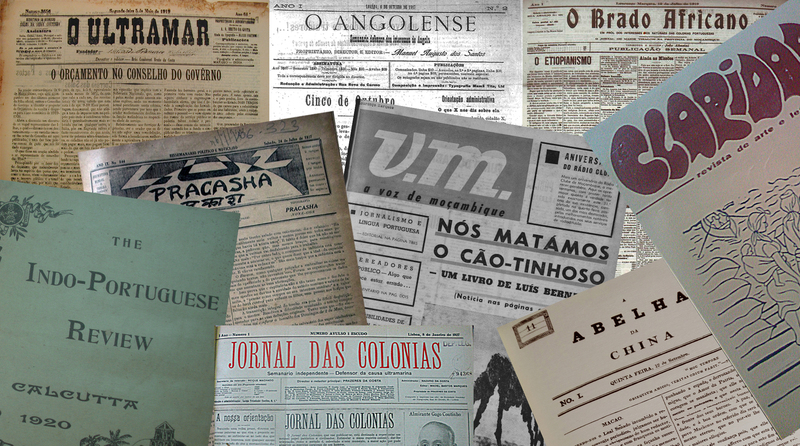 The International Congress Politics and Culture in Colonial Periodical Press is a joint initiative of CEI-IUL, the Portuguese Centre for Global History (UNL) and the Centre for Comparative Studies (UL), in association with the Project Pensando Goa. Other important partners joined the International Congress: the Portuguese National Library, the Mário Soares Foundation and the Project Memórias de África e do Oriente, and CPLP – The Community of Portuguese Language Countries became an institutional support. The idea of proposing this event was raised among the International Group for the Study of Colonial Periodical Press in the Portuguese Empire, in order to promote the dialogue between researchers working in and about different countries and territories. Another very important issue was to encourage archivists and librarians to discuss the preservation of this patrimony with researchers and within themselves, and to understand it as a common resource for the study of culture and politics. By colonial periodical press we understand all the magazines and newspapers published in the colonies or in the metropolis about colonial subjects. The aim of this event is to bring together researchers and technicians interested in the study and preservation of colonial periodical press, which we believe is in the best interest of all the peoples involved. Periodical colonial press was a place for discussion and debate of questions like colonialism, nationalism, anticolonialism, education, culture and arts. It allows us to know better the past and to understand the present tensions in societies resulting from decolonization processes, in which we include the colonized societies and the colonizing ones. The congress will be held between 22nd and 25th May and already has a provisional programme available. Call for panels is open until the 15th October 2016, and the call for papers will open the 31st October 2016.